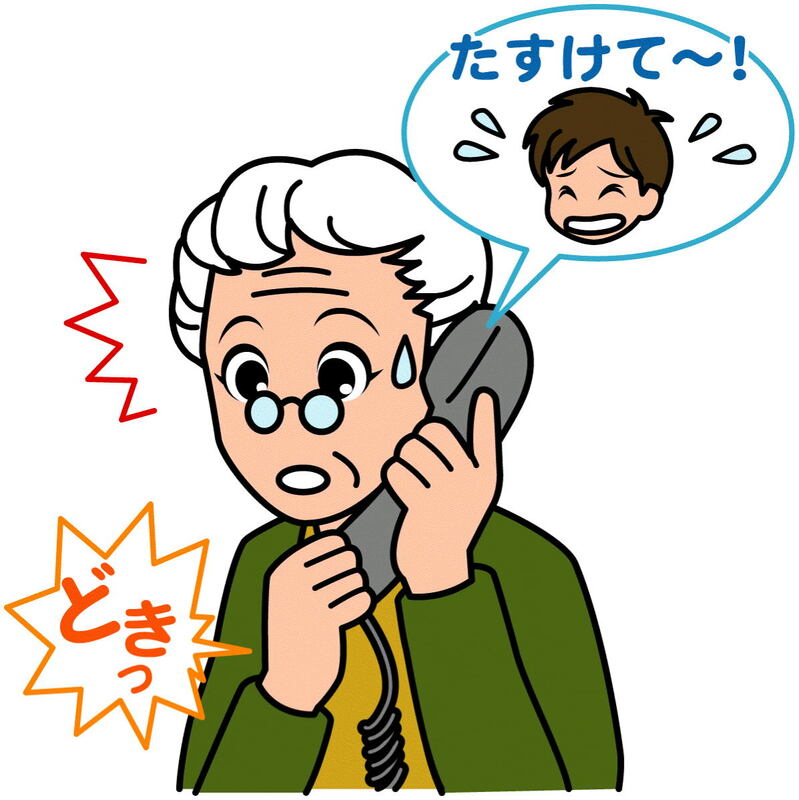 Telephone fraud is a serious problem in Japan and many elderly people fall victim to it each year. Known as “ore ore sagi“, fraudsters often pretend to be the call recipient’s son, using such lines as, “Mom, it’s me, it’s me! I’m in trouble!” to trick large sums of money from the unsuspecting party, and banks now post warnings next to their ATMs asking people only to send money if they’re 100-percent sure of who they’re sending it to. Thanks to increased awareness of the problem, however, more and more people are beginning to see through this type of scam. One particularly clued-up 69-year-old who realized something was wrong, in fact, has recently been co-operating with local police by pretending that she had been duped by a call she received from fraudsters, ultimately leading to their arrests. The incident took place on September 3 in Mitaka, Tokyo and began when the elderly woman received a phone call from a man claiming to be her son. What immediately alerted her that something was suspicious was that the caller claimed to have borrowed large sums of money from the company for which he worked, and needed help paying it back. “For a start, my son doesn’t work in any office,” the woman commented. Angered by the criminal’s audacity and realizing that something needed to be done to prevent the fraudsters from trying the same scam out on other, less-informed people, the woman contacted the police and told them what the situation was. When another call came soon after, she agreed to hand over the requested large sum of money at a spot close to her local park the following day. In place of money, the woman packed empty envelopes to hand over to the men, and police kept a low profile as they waited for the fraudsters to arrive. When the time came to hand over the cash, two men appeared: one coming forward to accept the money, the other playing the part of of watchman. Both suspects, who are 21 years of age, were university students from Saitama Prefecture and admitted the crime immediately after they were arrested. The same woman co-operated in the arrest of another fraudster when she received the same type of phone call back in May. We here at RocketNews24 take our hat off to the lady and hope she keeps up the good work!